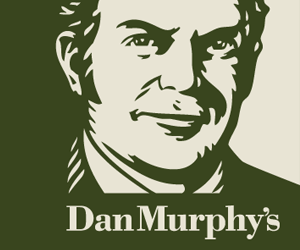 First founded in Melbourne in the 1800's, Dan Murphy's has grown into a substantial chain of liquor stores right around the country. Whatever you're looking for, whether it's tried and true, innovative or unusual, you'll find it at Dan Murphy's. Some retailers have their own policies and restrictions. Before shopping, please ensure you review the Special Terms of Dan Murphy's (above) for further information. Complete your purchase in one session and without leaving Dan Murphy's. Do not click on any bookmarks or advertising banners or links once you leave ANZ Bonus Points Mall. If you spend more than $300, either online or over the phone, your order will be delivered free of charge within metro areas via standard delivery. This offer excludes Connections products, beer, cider and premixed drinks. We accept Visa, MasterCard, American Express, Diners and PayPal. If in the event your purchase is faulty, damaged, wrongly described or breaches a consumer guarantee we will cheerfully refund your money or exchange the product upon presentation of your proof of purchase. If your purchase incurred a delivery fee, then we will cover the cost of delivery for the return if Dan Murphy's is at fault. That is, if the wrong product is delivered, there is a fault with the product (including any damage caused in transit) or Dan Murphy's has breached a consumer guarantee. In all other circumstances, including change of mind, the delivery charge will be deducted from the refund to the customer. The fastest way to obtain a refund or exchange is to visit your local Dan Murphy's store, where our team will be able to assist you immediately. If visiting a store is not convenient for you, or there is not a store close to you, then please contact our Customer Service Team as soon as possible on 1300 72 33 88 to discuss the available options.